Multifunction relays are a convenient and fast solution if you want to replace your standard switch in an instant with a time-controlled switch. One of these is the SMR-T relay, which ranks among our top products for a long time. It monitors and controls appliances, such as lights or fans, and, if necessary, switches them on or off, offering a variety of settings, including start-up delay or running cycle. It is installed directly under the switch, so it can be connected to existing wiring. It can also be placed directly into the installation box. No neutral lead is required to connect the product, so it can be used for older types of installations. 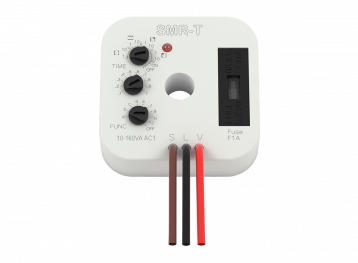 In case of overvoltage, the SMR-T has an integrated fuse that can be easily replaced and thanks to the triak at output 1, it provides silent switching with almost unlimited life. The SMR-T can be used for example on stairways where it is used to automatically turn off the light. In the home it’s useful if you forget to turn off the lights - it measures the set time and switches off the light itself. It is also very useful in bathrooms, where, for example, heating rails. This prevents energy wastage and saves you money. You can purchase this relay very cheaply, while it does a lot of good work. It offers a total of ten features, but for the customer at home will most likely appreciate the ability to set up an impulse relay with a delay. Practically, this means that if someone forgets to switch off the light, it switches off automatically after measuring the set time. This function is convenient wherever you forget to - in bathrooms, cellars or staircases and corridors. It is also very useful in bathrooms, where for example the heated rails can be switched on. This prevents energy wastage and saves money. 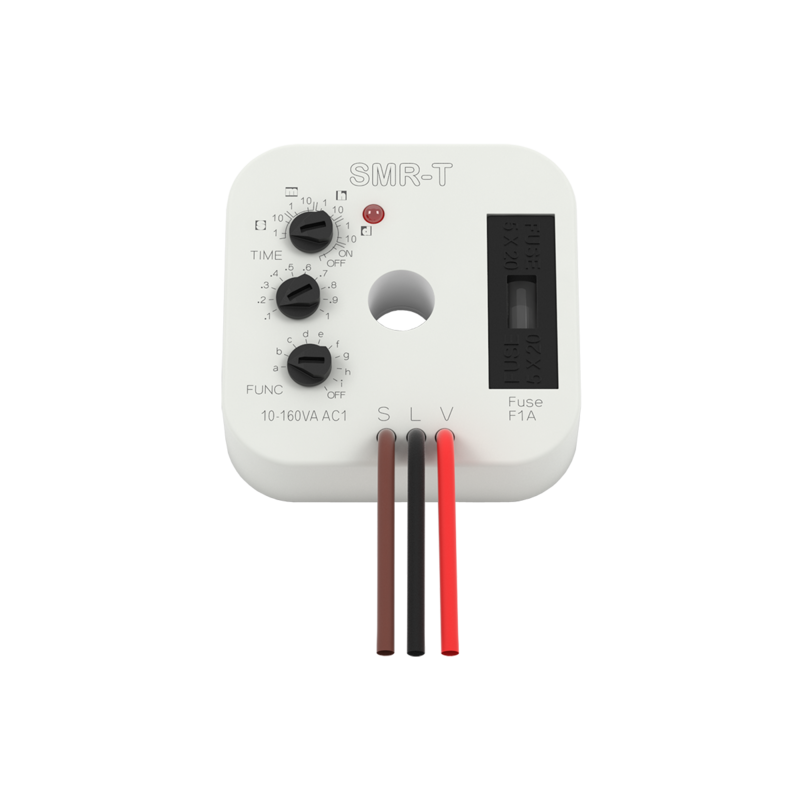 And while we are in the bathroom, the SMR-T relay will also facilitate ventilation. Certainly no one wants to hear the fan while they are in the hot tub with foam, but if you connect relay to light and after leaving the bathroom the lights turn off, the fan switches itself on at time you have predetermined. More about this and other products from the category of time relays can be found on our website or downloadable catalogues. ELKO EP is one of the world's leading manufacturers of electronic equipment for residential, office and industrial automation. We have been supplying the world over for the past 25 years; our main domain is primarily relays, but we also supply wireless products and IoT products. But we're not just focused on products; we also propose comprehensive and highly effective solutions. Our branches are located in 16 countries around the world, but all developments and production takes place in our own premises in Holešov. Thanks to this background, we have received several important awards, such as the Visionary of the Year 2015 or the Global Exporter in 2016.